Fred Kramlich, age 84, of West Fargo, ND, died Sunday, February 10, 2019, at Bethany on 42nd, Fargo, ND. Fred Kramlich was born May 24, 1934, at rural Lehr, ND, one of 23 children of Samuel and Magdalena (Jundt) Kramlich. He attended rural schools at Lehr and Napoleon, ND. Fred served in the US Army from 1954-1956, stationed at Anchorage, AK. After the service Fred continued to work on the family farm. He moved to West Fargo, ND in the early 1970’s. On May 24, 1974 he married Norma Irving at West Fargo. 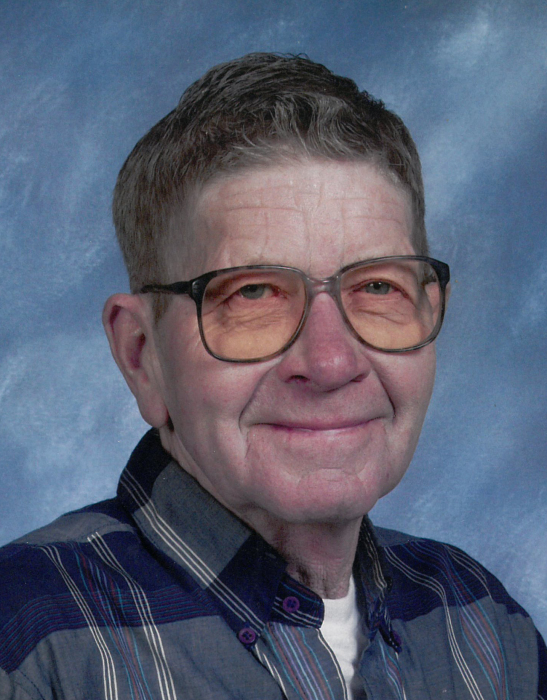 Fred worked as a grain elevator operator at Goldberg Elevator, as a bartender at the VFW, and then worked many years with the City of West Fargo water department until his retirement. He later worked at McDonalds in West Fargo as a dishwasher. He was a lifetime resident of North Dakota and was very proud of “knowing every inch” of West Fargo. Fred was a member of the AmVets and West Fargo VFW Post #7564. His family remembers his love of big belt buckles and big chain drive wallets. He loved the MN Twins and had a long-lasting vocal opinion that Ron Gardenheir was the best manager! He raised tomatoes plants, kept old (out dated) calendars, and many clocks. Fred was a self-taught player of the accordion and harmonica. But his biggest passion was for all things sweet and sugary! He is survived by three daughters, Niki (Nathan) Vaagene, West Fargo, Debbie Peterson, Fargo, Diana (Greg) Lemieux, West Fargo; one son, Bruce (Nanette) Irving, Buffalo, MN; 7 grandchildren, Bekki, Brandon, Taylor, Carley, Noah, Avery, & Jacob; and 3 great-grandchildren, Austin, Halle, & Aiden. Fred was preceded in death by his parents, wife Norma, his many brothers and sisters, and one son-in-law, Bill Peterson.